We recently received a request from a client to convert some PDF files to HTML with our PDF to HTML5 converter and test whether they worked correctly in Internet Explorer 8. We soon found out that Internet Explorer 8 will not work with Windows 8. The solution was to create a Virtual Machine that would run Windows XP and fire up I.E 8 from within it. So here’s a quick guide on how to do just that. Load up 7-Zip and navigate to where you downloaded WindowsXPMode.exe. Right click WindowsXPMode.exe > 7-Zip > Open Archive. Right click the file xpm and Open it. 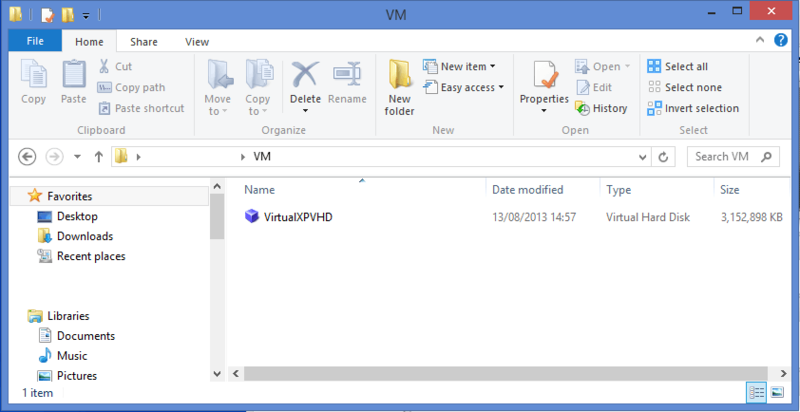 Extract the file “VirtualXPVHD” to a folder on your desktop. On the top toolbar goto Machine > New. 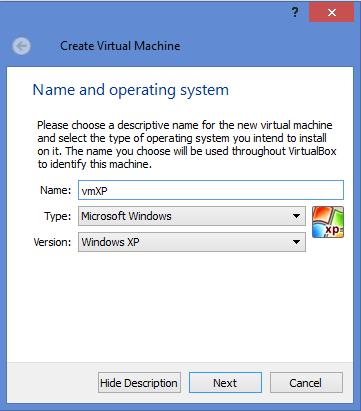 Enter a name for your Virtual Machine, e.g vmXP. Set the Type to Microsoft Windows. Set the Version to Windows XP. Choose a Memory Size (2048 recommended). 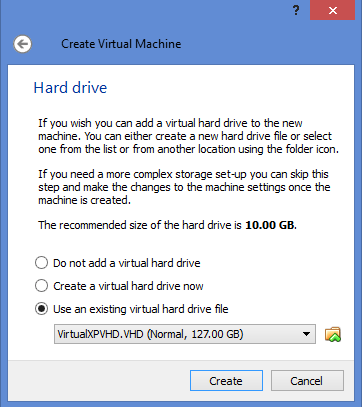 Choose the radio button than says “Use an existing virtual hard drive file”. 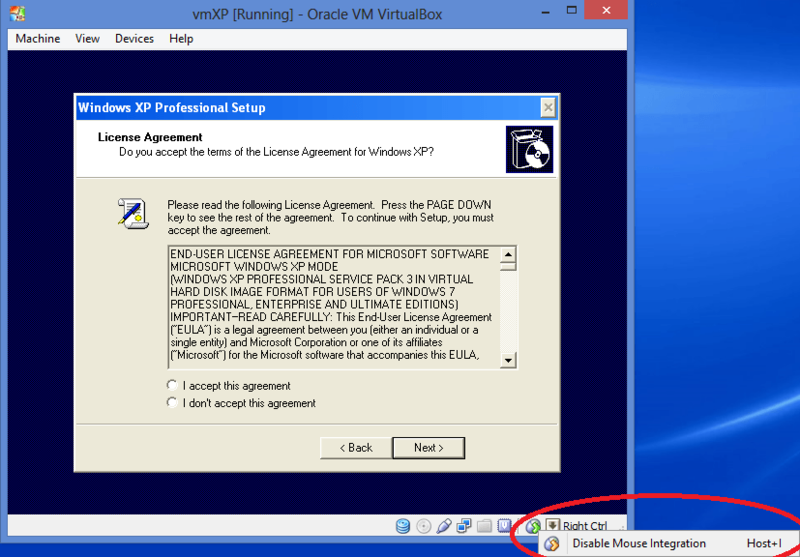 Windows XP will now start up in your virtual machine, you may find your mouse won’t move within the virtual machine. If you have this problem, disable mouse integration. Configure XP as you normally would. Once you have finished configuring and setting up XP the screen will go black. This just means XP has attempted to restart but can’t within a virtual machine. 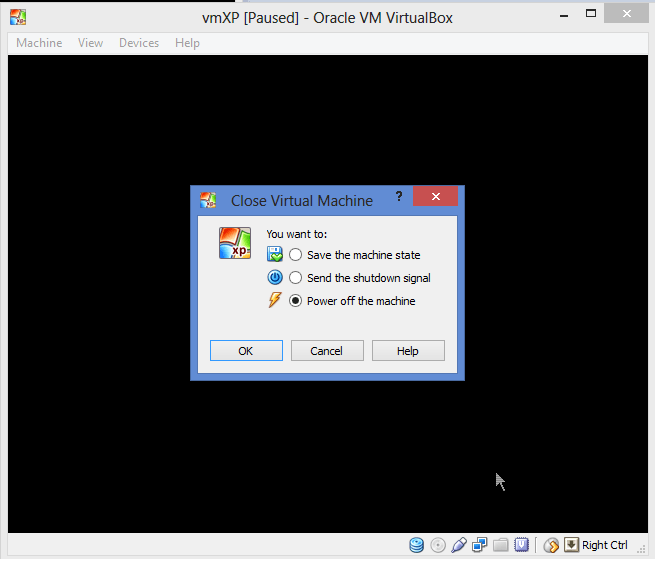 Close and Re-start your Virtual Windows XP Machine. 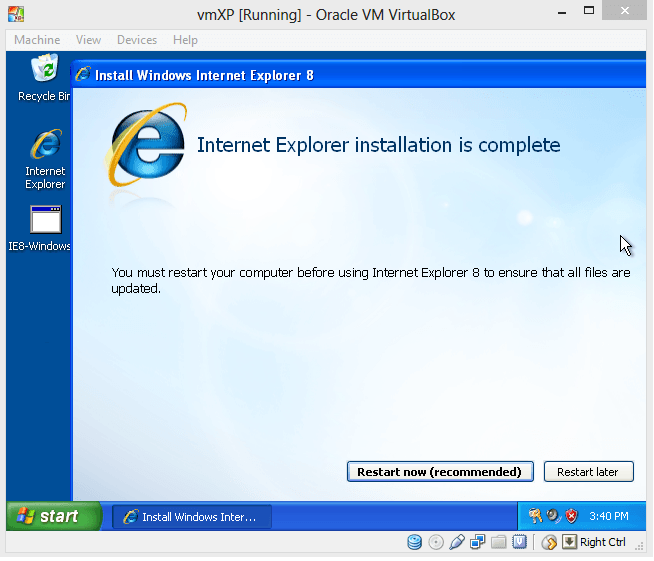 Download and install Internet Explorer 8. Restart your Virtual Windows XP Machine. Congratulations, you have just finished Setting up a Windows XP Virtual Machine in VirtualBox and installed Internet Explorer 8. If you have any questions errors or problems then please let us know and we’ll be happy to help! If you would like to see an other guides let us know. Concise and well structured. Easy to follow and informative. Thank you indeed.